As we near CES we see the final boards manufactures release prior to the big name companies changing the game once again, In order to survive the pre-CES rush a manufacture needs to release a product that stands above the rest. Jetway aims to stand above the rest by releasing the Hummer HA12-LF which is a ATX standard AMD AM3 board sporting the 890GX + SB850 chipset and packing both USB3 and SATA6Gbps connections for all your speedy peripherals. The big question is; is this board a bang or will it end up being a bust just in time for CES 2011, join me as I show you just what this board can do. 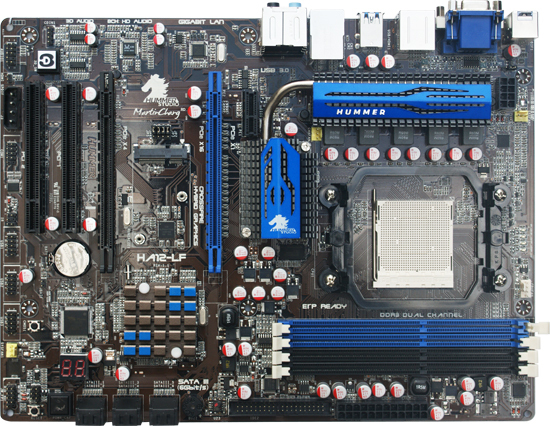 Testing the board will take place on a standard rig and will include overclocking as well as stability testing. I bought this MOBO back in march for a custom build and have had nothing but issues with it. I originally installed a dual-boot windows setup and would get freezing, black screens and BSOD’s randomly. This is with all official drivers and compatible hardware, recommended ram voltages and no over-clocking at all. I decided to RMA it a month later and got nowhere. I have changed out the CPU, ram, and even the HD and PSU with the same results. Now I can’t even get Jetway on the phone anymore to pursue further recourse. Steer clear!! !